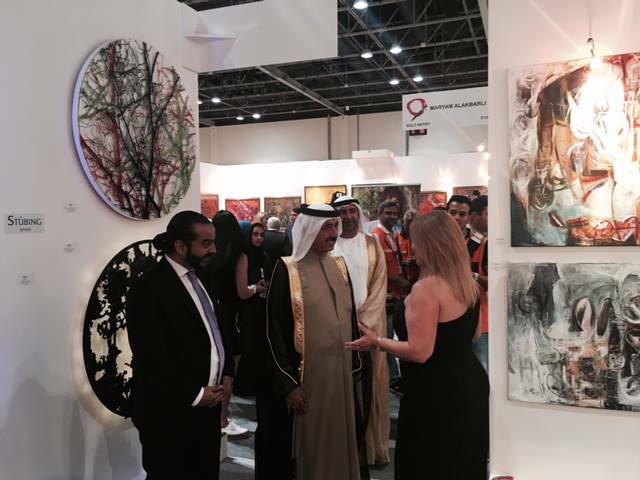 Nina Torres Fine Art met the Dubai Sheikh Mohammed bin Rashid Al Maktoum at the opening of the international art show World Art Dubai. 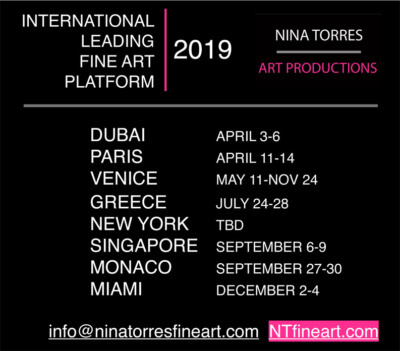 Nina Torres, Director and Founder of Nina Torres Fine Art Gallery, has been interviewed by Telemundo 51 at "Rostros de Nuestra Ciudad"
Betiana Bradas is a renowned artist from Argentina featured several times by Nina Torres Fine Art. 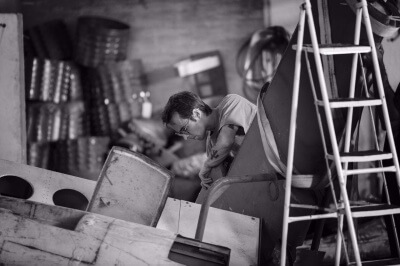 Betiana Bradas is in residence at the Gallery to create new impressive pieces of art. 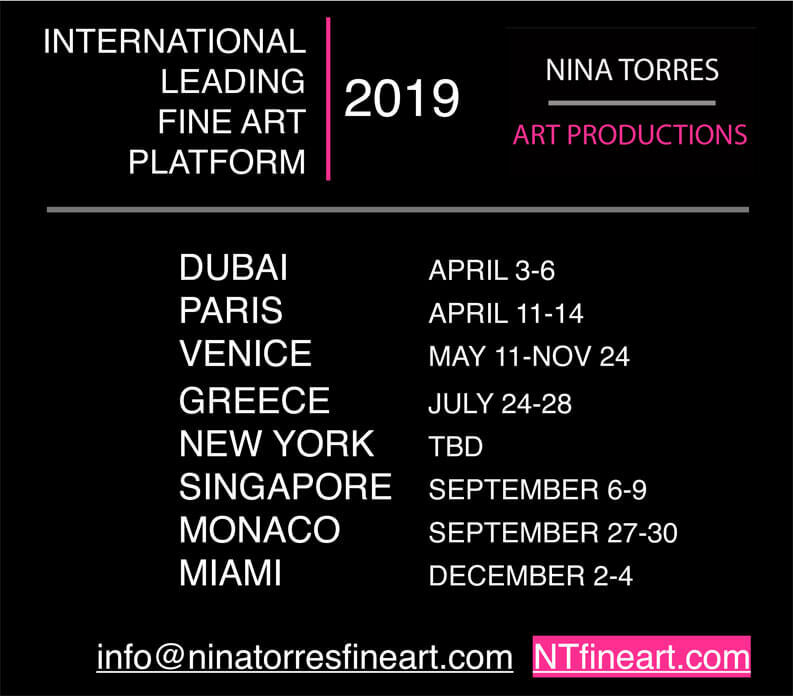 Nina Torres Fine Art opened his new permanent exhibition at Banco Do Brasil Americas at Brickell, featuring famous artists: SCOTT D. CLARK, FRANCISCO CERON, SANTIAGO DIAZ GUICHON, BETIANA BRADAS.